Boko Haram has grown from a small terror group to a mini-country with its own territory, which can be compared to gains made by the Islamic State (IS). 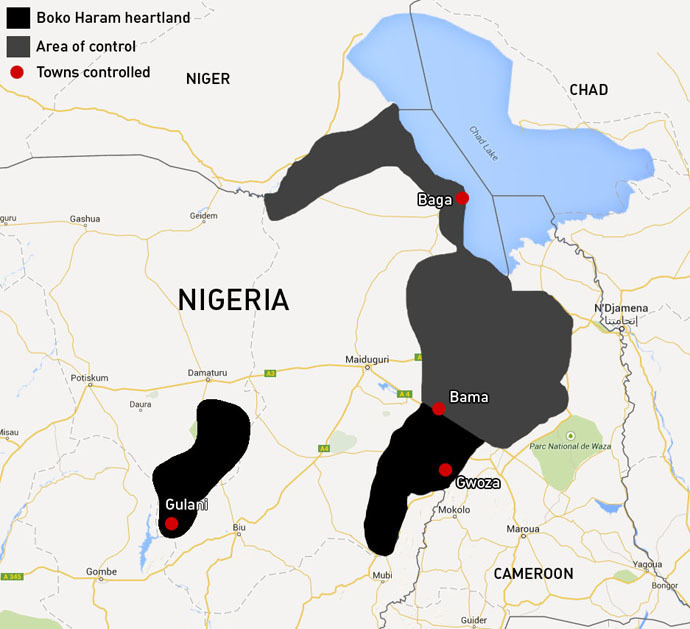 Boko Haram now controls an area the size of Costa Rica or Slovakia. The militant group's territory now totals about 52,000 square kilometers, according to an estimate released by The Telegraph. Amnesty International said the attack could be the deadliest by the group since it surfaced in 2009. “For five kilometers, I kept stepping on dead bodies until I reached Malam Karanti village [near Baga], which was also deserted and burnt,” a surviving fisherman told AFP. The militants currently control over 11 local government areas with more than 1.7 million people, The Telegraph estimated. Their territory stretches from the Mandara Mountains, on the eastern border with Cameroon, to Lake Chad in the north and the Yedseram River in the west. The group seems to be copying the moves of the Islamic State, which began capturing territories in Syria and Iraq in June 2014. Now the area controlled by IS is between 39,000 square kilometers (the size of Switzerland) to 90,000 square kilometers (about the size of Portugal), according to various reports. After the Islamic State proclaimed its caliphate in June 2014, Boko Haram did the same in the northeastern Nigerian town of Gwoza, which was seized by the extremists in August. “You need a place where you can base yourself and keep equipment and supplies and, indeed, captives. It means that you’ve got to hold territory,” he added. Boko Haram's attacks are not limited to Nigeria; neighboring Chad and Cameroon are also among the militants' targets. In December, the group approached Cameroon's Far North region. However, the Cameroonian army managed to repel the attacks. Last April, Boko Haram shocked the world when it kidnapped 276 schoolgirls during a raid on Chibok, a village in the northeast of the country. Its actions led to global condemnation with the hashtag #BringBackOurGirls going viral. Sixty girls managed to escape. The remaining 219 were converted to Islam and “married off,” said the extremists. According to the Washington-based Council on Foreign Relations, Boko Haram killed more than 10,000 people in 2014 alone. The violence has displaced more than one million Nigerians. According to UN estimates released on Tuesday, at least 11,000 people have fled into Chad in a matter of days. 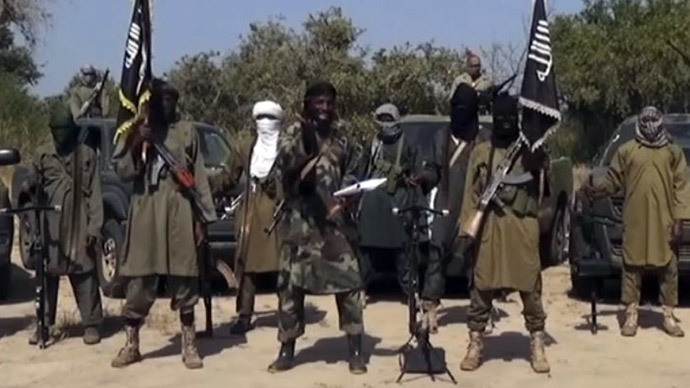 Boko Haram says it wants to enforce Sharia law throughout the country. Nigeria’s population is both Christian and Muslim, approximately 50/50.